Ok. 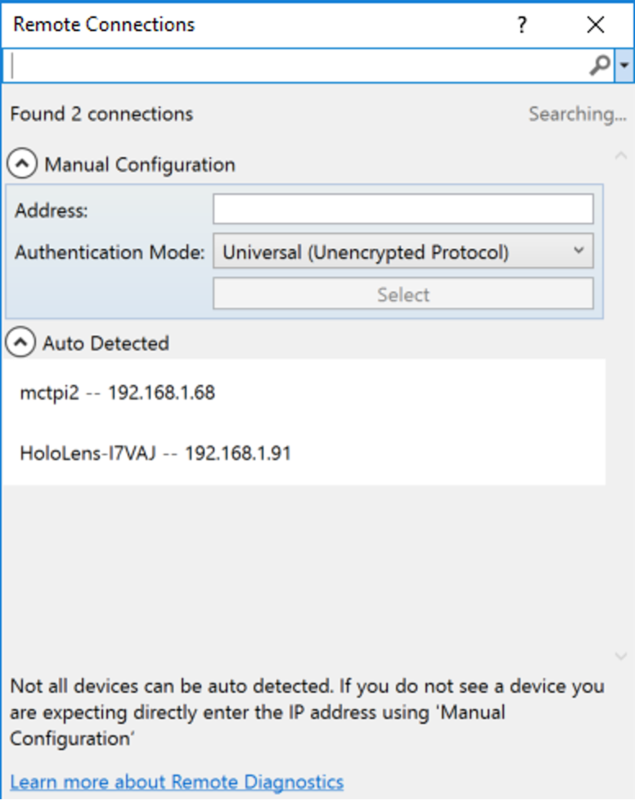 So this sounds lame but I just want to get the hang of remote debugging on my HoloLens device so I thought I would get things all setup and tell you all about it. Amazingly, after enabled debug mode on my HoloLens it automatically detected it in the remote debugging tool within Visual Studio 2015. However, when I try to debug the app it fails with the following error. “DEP6957: Failed to connect to device ‘<IPADDRESS>’ using Universal Authentication. 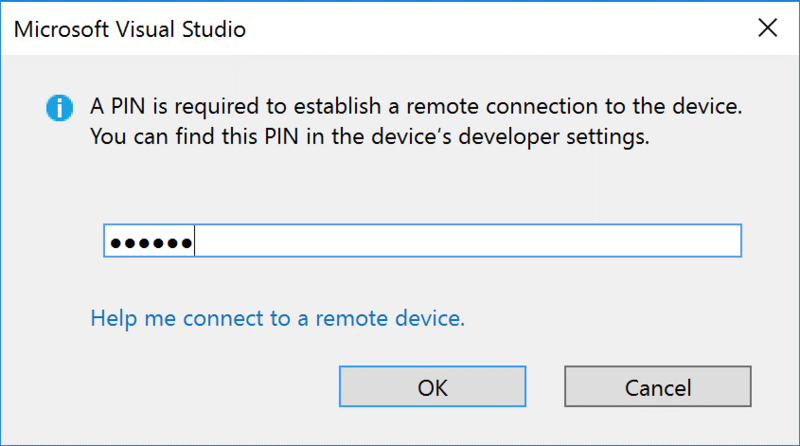 Please verify the correct remote authentication mode is specified in the project debug settings. 0x8007274C: The network even being waited on triggered an error.” Not. Entirely. Helpful. After some StackOverflow spalunking, I found loads of other people having the same issue. Many people going back to a clean install of Windows only to discover the issue persists! Luckily, I finally got it working. Ironically enough, I had to deploy to Local Machine and then after it successfully deployed and ran locally, I switched it back to Remote Machine. At which point it gave me the PIN code entry screen. Already having the HoloLens on my head, with the settings app pulled up and the developer PIN code displayed I quickly entered it and was finally able to successfully deploy! Time to play more with my HoloLens!